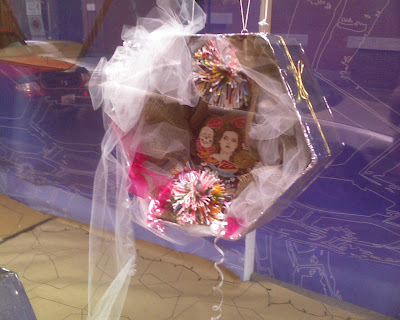 During Spring Break Week in April, six women artists from The Hive Archive invited six young women artists from New Urban Arts to design and fabricate a sculptural installation that celebrates the creative voices of women and girls in Rhode Island for Providence Art Windows, a juried art exhibit that fills 10 empty retail spaces in Downtown Providence. The Hive artists began the project by exploring inner narratives of empowerment and inspiration with their partners at New Urban Arts. Each pair created a collaborative piece for a series of six pieces that define a story, a physical space, or an artistic process that provokes each artist to make art. 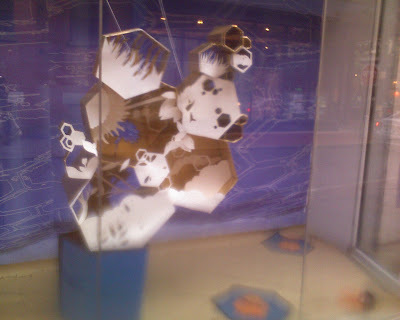 Each piece uses the hexagon of a honeycomb to tie the individual pieces together in one narrative. 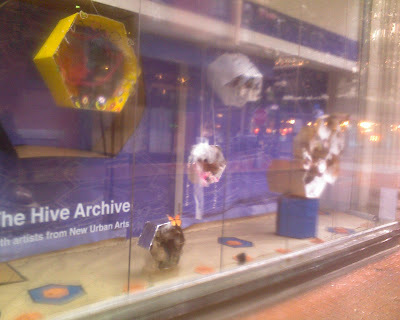 The Hive Archive believes that the sum of a whole is greater than the individual parts and that people sharing ideas, skills and resources will always lead to actions greater than those of any individual. This theme is central to Hexacomb, in which twelve individual voices come together to inspire a greater movement of women in the arts in Rhode Island. 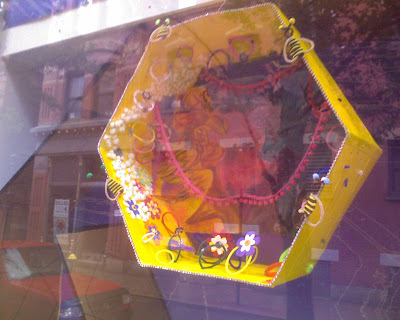 View the Hexacomb Window at the intersection of Eddy and Westminster Streets in downtown Providence from June 12 through September 4. 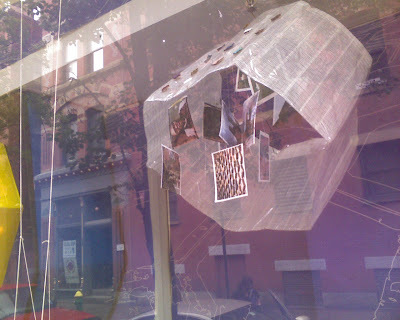 For more information about Providence Art Windows, and to download a current map, click here. 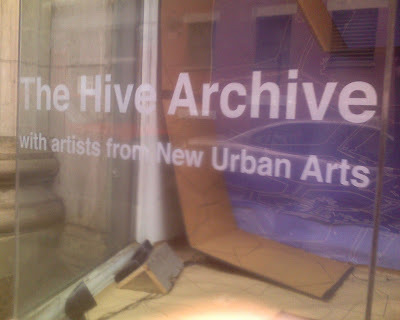 Click here to learn more about the Hive Archive. Fundraiser for Mashapaug Pond Procession!